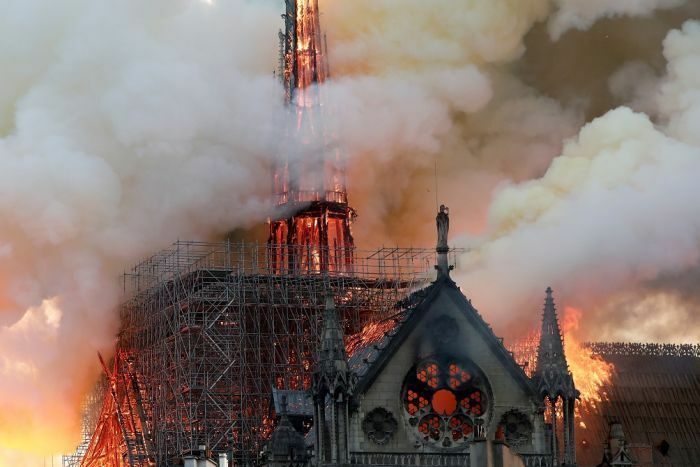 The fire has spread to one of the church’s landmark rectangular towers, according to an Associated Press reporter who saw flames blazing behind an oblong stained-glass window in the tower. 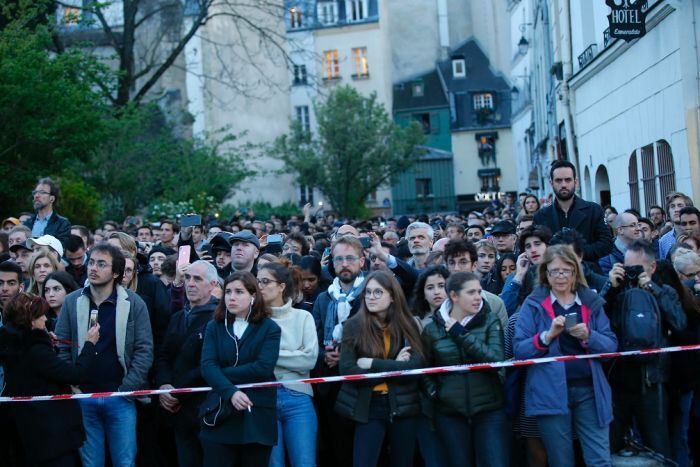 A spokesman for the Paris Fire Department said the next hour-and-a-half was “crucial” in order to see if the fire could be contained. 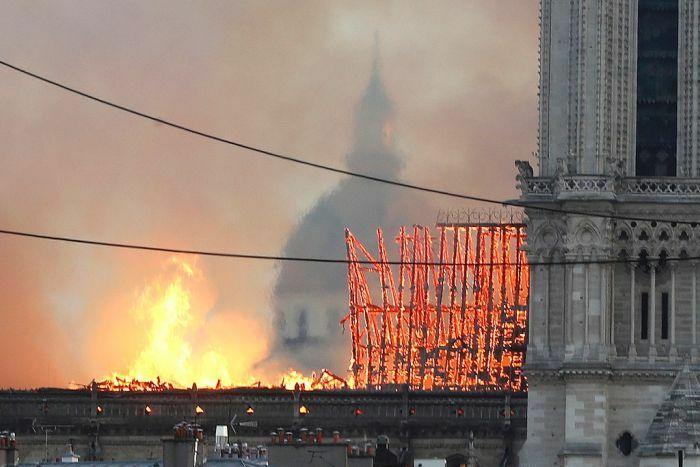 A French Interior Ministry official told media firefighters might not be able to save the cathedral. It was not immediately clear what caused the fire, which drew crowds of people to gather in nearby squares as a huge plume of smoke wafted across the city and ash fell over a large area. Built in the 12th and 13th centuries, Notre Dame is the most famous of the Gothic cathedrals of the Middle Ages, and one of the most beloved structures in the world. Situated on the Ile de la Cite, an island in the Seine river, the cathedral’s architecture is famous for, among other things, its many gargoyles and its iconic flying buttresses. 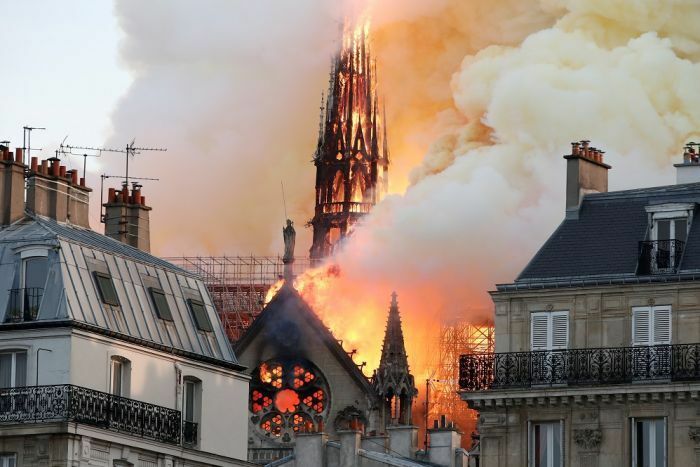 Speaking to BFMTV, Paris Deputy Mayor Emmanuel Gregoire said first responders were trying to salvage the art and other priceless pieces stored in the cathedral. French President Emmanuel Macron has arrived at Notre Dame, having cancelled a major televised speech after the blaze broke out. Mr Macron was treating the fire as a national emergency, Associated Press reported. France’s civil security agency said “all means” except for water-dropping aircraft were being deployed to tackle the blaze. The defence agency said dumping water on the building could cause the whole structure to collapse. “Basically the whole rooftop is gone. 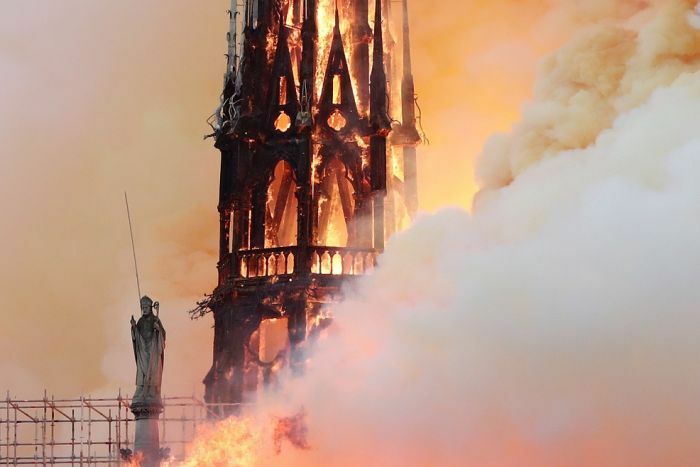 I see no hope for the building,” said witness Jacek Poltorak, who was watching the fire from a fifth-floor balcony two blocks from the southern facade of the cathedral, one of France’s most visited places. A major operation was underway, the fire department said, while a city hall spokesman said on Twitter the area was being cleared. There have not been any reports of injuries in the blaze. 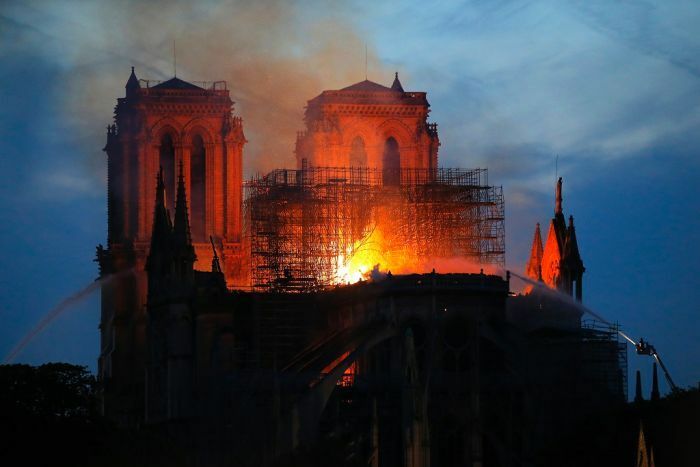 In Washington, US President Donald Trump tweeted: “So horrible to watch the massive fire at Notre Dame Cathedral in Paris”. He suggested first responders use “flying water tankers” to put it out. The Vatican said it was praying for firefighters “and those who are doing everything possible to confront this dramatic situation” on Monday. 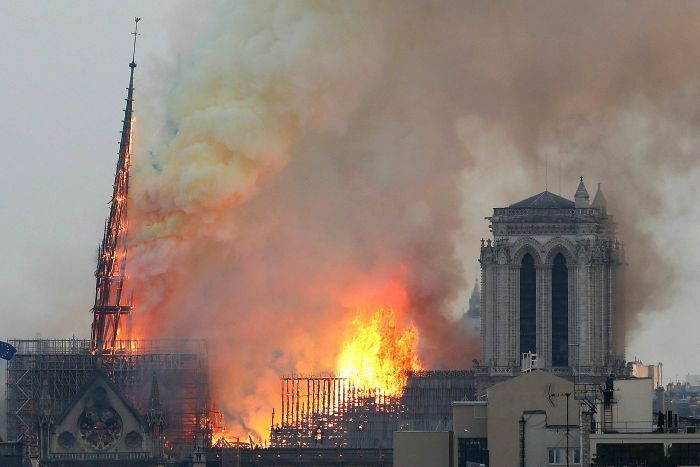 “The Holy See has seen with shock and sadness the news of the terrible fire that has devastated the Cathedral of Notre Dame, symbol of Christianity in France and in the world,” it said in a statement. The first stone of the Notre-Dame de Paris (Our Lady of Paris) cathedral was laid in 1163 during the reign of Louis VII, as the medieval city of Paris was growing in population and importance, both as a political and economic centre of the kingdom of France. Construction would continue for much of the next century, with major restoration and additions made in the 17th and 18th centuries. The stonework and stained glass of the edifice recreate images and lessons from the Bible. Every new clip looks worse. What a terrible thing to watch in real time.